Over 1,000 gorgeous gowns from such lines as Maggie Sottero, Justin Alexander and Allure. Exquisite selection of mothers and attendants dresses and every accessory for your special day including veils, tiaras, and shoes. Exceptional service. Convenient to Boston & Newport. Be sure to see our fashion shows at OceanCliff: 12:00 noon and 2:30 pm. Same showcase of Bridal Fashions - 2 chances to enjoy! 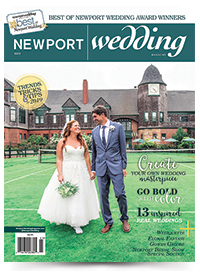 Please visit us at OceanCliff at the 17th Annual Newport Bridal Show, Sunday, March 3, 2019. We look forward to meeting you there! Complete the form below to send Bridal & Gift Boutique an e-mail message.